2018 was the year of the World Championship Cup and it was really awesome! Now all the football fans are getting ready for another World Championship Cup that will take place in 4 years. The strongest football teams will face off in a harsh race. We will see both the triumph of the countries which have proven to be the football leaders and the rise of unexpected favorites. While the most desperate fans are already buying tickets to the live matches, the majority of people are going to watch the game on TV or streaming services. Actually, to watch high-quality football shows, you don’t need to wait for another World Championship Cup. New matches take place every week. There are such top competitions as the English Premier League, Champions League, and other top European championships. The streaming apps in the list below will help you get an access to all of them on your mobile device. These apps have become a real trend in the past few years. Seriously, who would depend on TV when you can watch all the channels on your smartphone? And since you can do it on your smartphone, why not to add some additional features to the experience? 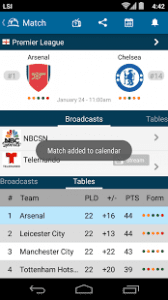 Nowadays many streaming apps are not only aimed for streaming but also contain additional information about matches, live chats, a possibility to make predictions and a lot more. Well, everyone can find something for themselves in the list of apps down below. This app is literally a full-packed TV in your gadget. With it, you can watch any football channel, do live streaming and other things for football fans. There are such options as Live Scores, Football Video Highlights, Betting Tips & Daily News – so there is no way you will be bored. Watch any matches and leagues across the globe – no matter if it’s Europe, UK, USA Sport or the Europa League, the Champions League, Asian Sport, Euro & World Cup – they are all available. All you have to do is to choose the game you want to see and the app will show you all the information on that match despite when or where it takes place. Moreover, the impressive range of TV channels is accessible for watching: Sky Net Sports, ESPN, Super Sport, Bein, Silk Sports, Sports Klub, Dubai Racing, Eurosport, Russian Sport, Motor Sports, NFL Network, Pac 12, and so on. What is more, there is such an option as life on Score Preview and Predictions. You will discover betting tips and live scores which you will be able to see while streaming. Besides, the app contains a selection of cut of memorable videos from remarkable games. The app also has the Chromecast support. This app will turn your phone into a multi-optional football fan platform. It contains official TV streams of football matches from all over the world. It provides match schedules along with multi-platform broadcast listings. And, as you have probably guessed, it includes the latest news from the football world: match stats and events, live scores, news, and analysis. In other words, the developers aimed at collecting all the necessary functions for football fans out there. Any competition, no matter whether it is a recent one or took place years ago, cups, broadcasting competitions from all the popular sources: tv, online, on-demand, online audio and radio broadcasts. With this app, you can get the latest updates on scores, match stats, commentary, and also get notifications about the plays of your favorite team. 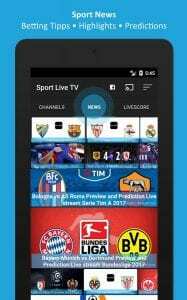 The Live Football TV is the smartphone application platform for LiveSoccerTV.com. This is a reliable source in the sporting world – it has been proving its worth through the many years of functioning. There is an option in the app which is called “personal calendar”. Obviously, you can mark the important football events there and when it’s time you will get a notification. If you want, you can watch the local life and replay broadcast listings chosen by day, team or competition. Looking for a service that would provide you with a ton of channels including sports ones? This is your thing. 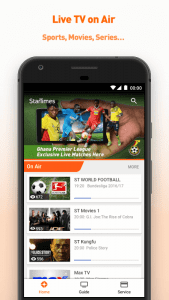 With it, you will get a chance to watch exclusive football matches from different leagues, such as Bundesliga, Serie A, Ghana Premier League, FIFA, ICC, Ligue 1. Add to that the possibility to watch online videos coming with more than 400 channels and you’ve got a multi-optional app that doesn’t limit you to anything. Besides live streaming, you can also find out the latest news about the football world. Since the range of available programs is huge, you can pick up something interesting for every day. If you do so, you will get daily recommendations based on your preferences. If you are planning to watch a crucial football match but you’re afraid to forget about it, you can set a reminder and the app will send a notification before the match starts. By the way, there are automatic notifications for all the important matches. So, wherever you are, you can always rely on this mini-TV in your gadget. 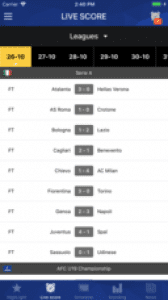 The title of the app speaks for itself – the app was developed for updating football scores. You and all your viewers will be able to get the latest information on any football match. Wherever you are, you will always have a chance to fill your life with football. You can stream different games along with the number of scores. This is a good opportunity to track the score for those viewers who watch the game and make stakes at the same time. What is more, you can just get information about the scores of the match without streaming. All you have to do is to launch the app and find a necessary game. Since the app is not that multi-functional it’s lightweight, which makes it more convenient for football fans just to get the phone out of the pocket and find out the scores of a match. 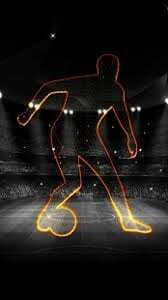 This is an excellent application for those who want to know all the details about football. Find any information on the latest matches or specific ones or your favorite football team. You can also find out real-time live football scores with it. In fact, the app includes a number of options. In addition to getting the match scores, you can keep up with the match details in various forms. You can open different tables and see the results of recent matches of your football team. You can be sure that you are going to have all the latest results just in time. The information is accessible from anywhere, starting with the street to your house. 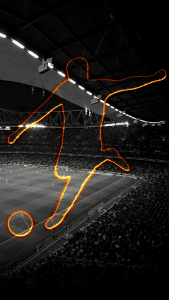 Check out the match live score, fixture, and result. It is supported by many leagues including EPL, Serie A, Bundesliga, La Liga, Ligue 1, Champion Leagues, and many others. Along with live TV streams, you will get a chance to stream football scores from leagues, cup competitions, and championships – all the viewers are able to share them with you. Each match is described in details, such as match stats, lineups, and form. There is also an option called push notification. Basically, the app has everything to provide you with a great live stream of a football match. Now you have a chance to watch any football match for free. 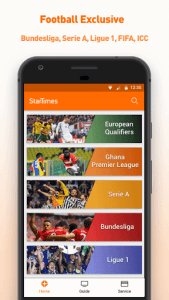 With this app, you will get an access to an incredible number of possibilities for loading a database of football TV channels to the screen of your device. All you have to do is to choose a TV channel and start streaming. From any spot in the world – you will see the game you want to see. Every football fan will surely find something they like, since the range of choice is tremendous: UEFA Champions League, UEFA Europa League, English Premier League, FA Cup, La Liga, Copa del Rey, Bundesliga, Serie A, Coppa Italia, MLS, Ligue 1, Copa Libertadores, Copa America, Liga MX, Liga PT, World Cup, UEFA Euro – and this is not even the full list. In total, you can do live streaming of more than 100 TV channels from different countries on your gadget. However, keep in mind that your internet connection must be stable and active. Moreover, you will need an external player to watch the live streams. Another disadvantage is that this app may contain incorrect information on football matches and the time of games. Another streaming app for iOS. 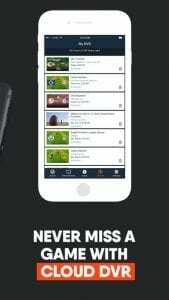 Actually, this app is aimed at watching not only football games but also Sky Sports, BT Sport, BBC, and live streaming schedules. And, by the way, this app contains schedules only for UK television football matches. It gets all the latest updates about its domestic teams. 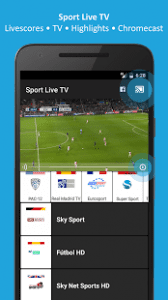 The app connects with all domestic, continental and international football matches for Sky Sports, BT Sport, BBC, ITV, British Eurosport, ESPN, Premier Sports, and all other major UK television channels. You can open a list of matches and find the one you’re looking for on the list. What is more, this app gives you a chance to compile your personal list with your favorite team’s games, competitions, and TV channels. All you need to do is to find the schedule of the football live streaming. You can watch games with the participation of such clubs as FA Cup, Spanish La Liga, German Bundesliga, Italian Serie A, French Ligue 1, Dutch Eredivisie, Portuguese Primeira Liga, USA MLS, and many others. The advantage of this app is that it, unlike the other football apps, comes with beautiful graphics and animations. And it is really easy in use, which is definitely a plus when you’re late for your favorite team’s match. This is a simple app, however, it includes all the features of the streaming service. Now you can watch any football match in HD quality, no matter where you are. 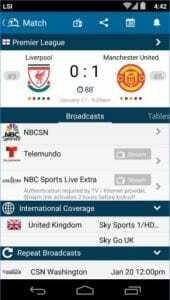 This streaming application will allow you to watch the following matches. Besides, you can see the highlights of your favorite matches along with football leagues live if there is no match from La Liga and Premier League. 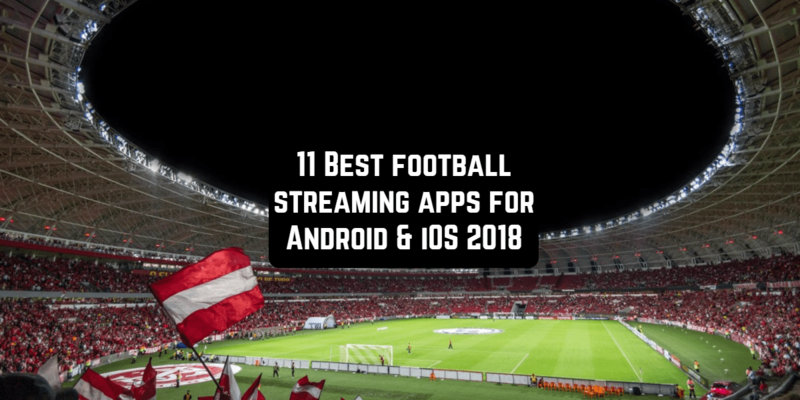 Summarizing all the points, this app is not that powerful as other, however, if you’re not into the heavy super productive football streaming apps but still want to have something on your phone for watching football this may be a good choice. Actually, this app provides live streaming of all kind of sports, not just football. However, since we are talking about football streaming here, this app has a number of decent features that makes it stand out from others. You will get an access to more than 65 live channels. The most popular ones, such as CBS, CBS Sports Networks, FOX, NBC, FS1, NBCSN, NFL Network, NFL RedZone, NBA TV, beIN Sports networks and many others, will be available at any moment you wish. What is more, new channels are added regularly. Of course, the app highlights all the essential events from the sports world, for instance: NFL, NBA, MLB and so on. The regional sports’ coverage is also there. Another advantage is that the app has 30 hours of Cloud DVR space. So, in case you miss a match you can watch it later – it will be in the program. You’ve got 3 days to replay that game. The app is multi-functional and works not only with iPhone but also with iPad and Apple TV. The quality of streams is always at the very top. In addition to that, the app includes over 10,000 hours of on-demand TV shows and movies – you can watch those between games! Finally, the app has been approved by such authoritative sources as Forbes and BGR. Now all the sports channels from all over the world are on your smartphone. Live streaming from such countries as USA, UK, Germany, Italy, Asia is real. The list of TV channels is unlimited and the number of sports videos is more than 500. You can watch all the sports events live, with all the most famous leagues in football. What is more, you can always find out the results of the previous matches, make stakes, read and make predictions about the future games. 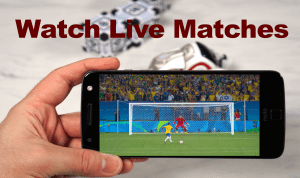 Watch all your favorite matches in Champions League, European league, UK Premier League, the Cup of England, La Ligue, Copia-del-Ray, Coppa Italia, Copa Libertadores, Copa America, and many others. The app also allows setting notifications about new important matches so you won’t miss them. Support your favorite teams and players by creating a special list of favorite teams in the app. It allows streaming more than 100 sports channels so you can be sure that you won’t miss a single game. The last one app is quite simple. Once again, it contains not much, but still, you have the basics – you can stream football matches anywhere you want to. The interface of the app is simple and easy to understand so you don’t need to spend much time thinking about how it works. All you have to do is to choose the channels and matches you want to watch. All the matches from all over the world are available now. Another interesting feature here is that you can stream not only football but also such sports as cricket, hockey, wrestling and so on. You will find the full list in the app. For a streaming app, it weighs not much, so it doesn’t take up too much of your memory while at the same time being productive. Just like it is said in the title of the app – all the streaming is in HD. After you launch the app, it suggests you receiving notifications about all the important football matches that take place all around the world. You can see several icons. You can choose which game you would like to see – cricket or football. If you choose cricket, the app will open a list of the available matches that you can watch. As it is expected, the full list will not be lengthy. On the opposite, if you open a “football” icon, you will probably find a lot of interesting matches that you don’t want to miss. You can also watch wrestling and boxing. Moreover, there are separate bars for such TV channels as Ten Sports and BT Sports. The reasons why both these channels took a special place in the app are not clear, however, it is a nice choice to watch them live.